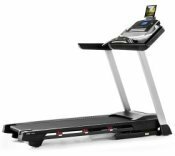 The ProForm Sport 5.0 is a new treadmill introduced for the 2016 model year with Bluetooth iFit and a new round Watts Display, among other new features. For just $599 on sale, it's a great value. The Sport 5.0 features SpaceSaver design for easy folding and comes with the all new Round Watts LED Display which shows you what zone you are working in to maximize your results. UPDATE: As of 2017 the ProForm Sport 5.0 has been discontinued. Check out our Proform reviews page to see the latest models. The ProForm Sport 5.0 was one of two new models introduced in the series for 2016, along with the upgraded Sport 7.5 model. For the price, it's very hard to beat and reviews have been positive thus far for that reason. The new features include iFit Bluetooth Smart technology, which allows you to connect your tablet or smartphone and take advantage of additional workouts on top of the 20 already built into the machine. You also get tracking and monitoring capability, and perhaps the best features of all, Google map integration which allows you to run anywhere in the world while the machine adjusts its own incline to match the terrain. A very cool motivational feature! The second new feature is the Round Watts Display which indicates your exact power output by showing you what zone you are in: Endurance, Tempo or Peak. By knowing what zone you are in you can tell just how hard you are working out. The new display also has an Interval Training option with buttons to rev up and then slow down, making this type of training easier for you. Other nice touches on the ProForm Sport 5.0 include a tablet holder, ProShox Cushioning which minimizes impact, heart rate monitoring and iPad compatibility so you can listen to your music while you train. The Sport 5.0 is a nice choice and if you're looking for a good treadmill but don't want to spend a lot of money it's just about as good as it gets. We like the new Sport 7.5 a little better as it has a lot more to offer, so if you're between the two that might be a better choice. 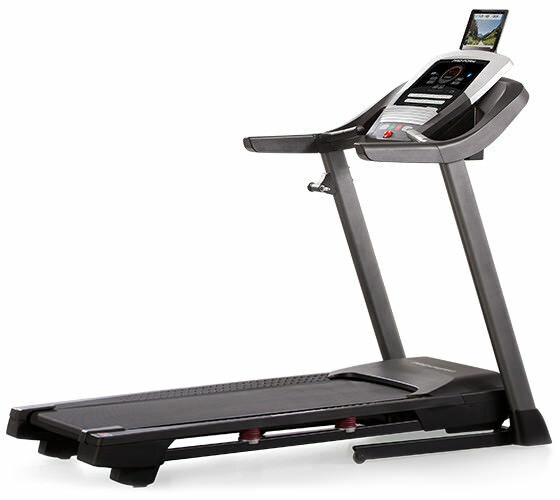 Although it is $200 more expensive, it has a strong motor, more incline, more workouts, larger belt, a higher weight capacity and a better warranty. That's worth the additional couple of hundred as far as we are concerned. Still, the Sport 5.0 has plenty itself, with iFit, the new enhanced display, incline, iPod compatibility and everything else. Either one is a good option, with way more than you're gonna get from any other brand.